YDCCF is deeply grateful to all the the amazing individuals who supported YDCCF in 2017. Wow! We raised nearly $28,000 in December alone. We are also indebted to our fifty two lodge matching partners who help leverage more resources for the fisheries and fishing communities your care about. On qualifying trips, these partner lodges are donating funds on behalf of Yellow Dog clients, which are, in turn, matched by Yellow Dog and donated to YDCCF. In 2018, we expect this program to leverage at least $30,000. This means that the money that you spend when booking a trip through Yellow Dog has a very direct and meaningful impact in the areas that you visit and fish. 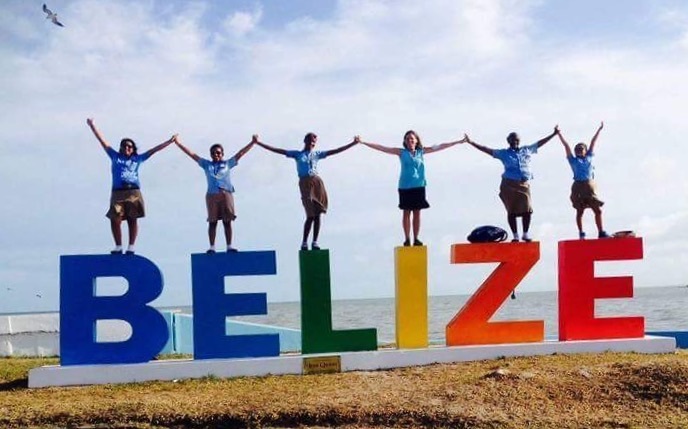 Students from the Ocean Academy, Caye Caulker, Belize. YDCCF provided a grant to improve infrastructure; purchase equipment for environmental workshops; help obtain a tour operator license for the student entrepreneur programs; and provide scholarships.